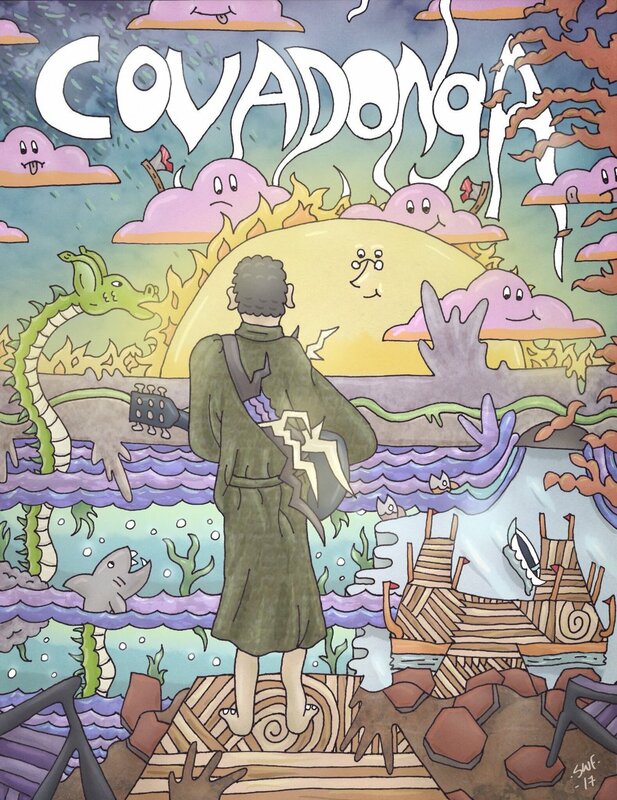 Intense, darkly funny and full of great tunes Covadonga was one of the highlights of MANIFF2018. Director Sean Hartofilis chatted to MANIFF about his deeply personal film. A lot of pain and heartbreak, Irish folk music and the desire to tell a story with a small cast at one location and be as creative and free as possible in doing so. Music plays a key role in the film. Did you always envision it that way and did you write the songs yourself? Yes, I wrote the songs into the script as I was writing, so they were always integral. I wrote all the songs myself, except the very first and last in the film which are traditional. You wrote, directed and starred in the film. Was that always the plan? Was it a challenge taking on acting and directing? As soon as I started to write it, I knew I'd have to be in it. Because somebody had to play the songs, and ultimately it was a lot more efficient to direct myself because we were working fast without much money, and I didn't need to teach anyone anything, direct them, or convince them to do any number of these dangerous stunts. But the spirit of that choice, and the spirit of the whole film, were the same: do everything I'm scared to do, show everything that makes me unique, lay bare my emotions, and let the chips fall where they may. The film is intense. What has the reaction to the film been like? Have you had a festival run? It's been what I was hoping for, essentially. A lot of questions. A lot of intrigue. A lot of emotion and, ultimately, a release. I think it's cathartic for people. Everyone has been very kind about the story, the photography, the music, my performance. I've been very pleased that it's connecting. I've been to a bunch of places with the film, including Madrid, Chicago, the Richard Harris Film Festival in Limerick, Ireland, where I got to show my family the film, which meant everything to me, and some historical theatres in New York that were a dream come true to screen at. How was your MANIFF2018 experience? MANIFF was the most enjoyable festival experience I've had. I loved everything about it, especially the kind and generous staff. I was blown away by the city of Manchester, and can't wait to get back.